Many structures and buildings have drooped after powerful 7.5 magnitude earthquake hits Indonesia. 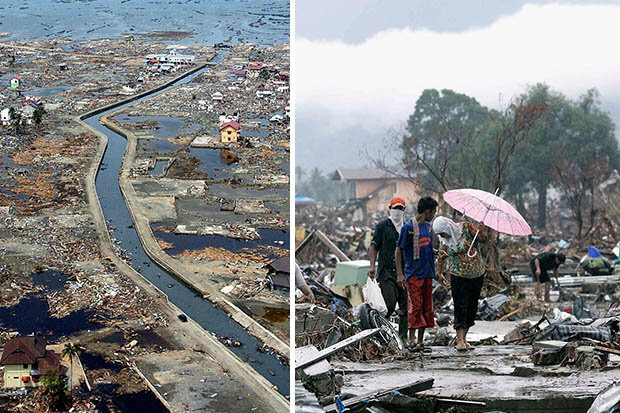 A powerful earthquake-created tsunami mopped away buildings and killed at least hundreds of people on the central Indonesian island of Sulawesi. According to some sources, more than 384 people have been killed in the city of Palu alone. The city of Donggala and the town of Mamuju have also been affected by earthquake and tsunami and due to damaged roads and disturbed telecommunications; no help has been reached yet. Disaster agency spokesman Sutopo Purwo Nugroho said that hundreds of people were taking part in a beach festival in Palu when the tsunami hit. In most of the places, the height of water had reached 20 feet. 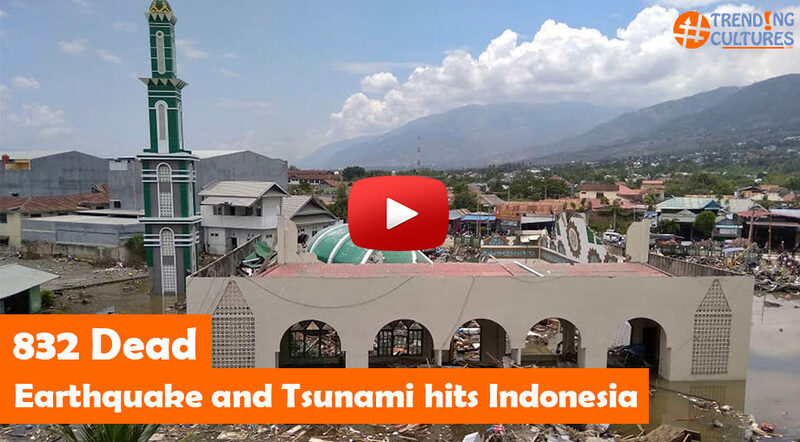 The mosque in Palu has been damaged by the quake and was half drenched in water. A large bridge had also dropped. One of the videos by Indonesian TV shows the strong wave hitting Palu, with people howling and running in fear. Hundreds of people had been injured and many hospitals had been damaged by the quake. Communications have been disturbed and roads are damaged. “We hope there will be international satellites crossing over Indonesia that can capture images and provide them to us so we can use the images to prepare humanitarian aid,” Nugroho said. More than half of the 560 prisoners in a Palu prison departed after its walls collapsed during the quake, said its warden, Adhi Yan Ricoh. Indonesian President Joko “Jokowi” Widodo said Friday night that he instructed the security minister to coordinate the government’s response to the disaster.